The oropharyngeal airway may be used If a patient is not breathing due to airway obstruction (not moving air into and out of the lungs), the health care provider must immediately take steps to restore breathing and reverse the obstruction. Foreign Body: Something gets into the airway such as food, liquids or another item small enough to lodge in the throat. Swelling: From an Injury, infection, or inhalation jury. There are many tools and techniques employed in advanced airway management. 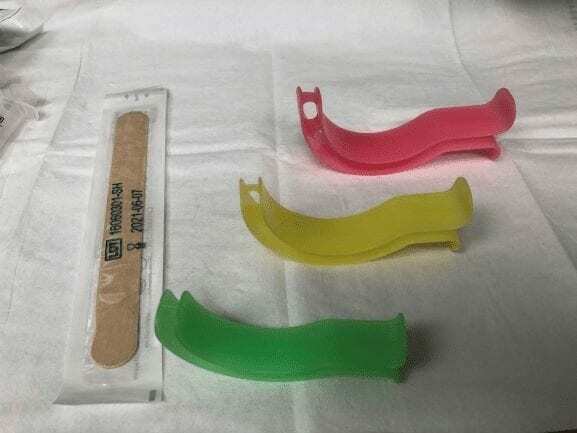 The airway management tools range from simple readjustments of the patient’s jaw and neck all the way to intubating a patient with an endotracheal tube. A surgical procedure known as a tracheostomy may also be a last resort if other interventions fail to restore adequate ventilation. The primary function of the provider placing an OPA is to overcome the Anatomical obstruction of the tongue and restore breathing. What is an Oropharyngeal Airway? The health care provider places the plastic OPA device in the mouth . It is used to open the airway when anatomical upper airway obstruction caused by the tongue stops the patient from breathing. The correct size oropharyngeal airway (OPA) is picked by measuring the corner of the mouth to the angle of the jaw. The OPA is then placed into the mouth curved side down. Rotate 180 degrees moving the tongue anteriorly. This will allow unobstructed ventilation in most cases. 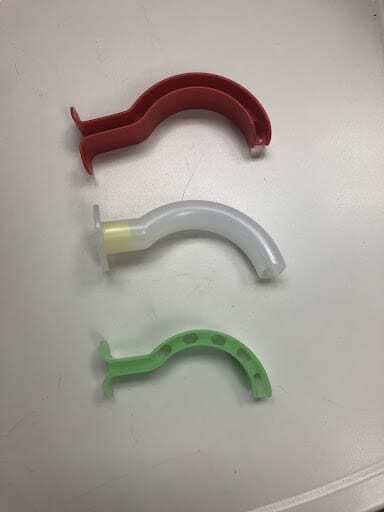 Another method for insertion requires pushing the tongue forward using a tongue depressor and inserting the airway curve up instead with no rotation.